This article will walk you through creating an App at Google. Enter the URL https://console.cloud.google.com in your web browser. Upon doing so you will immediately be taken to the secure login page as shown below. Enter your Email and click the "Next" button as shown above. Then enter the Password and click the "Sign in" button. After your entered credentials have been successfully authenticated, you shall land on the Home Page as shown below. From the "Project" dropmenu, click the sub-menu "Create project". Upon doing so a pop-up will appear where you can enter the application name to create the new project as shown below. Once the new project is created, click on the "API Manager" menu as shown below. Upon doing so, the system will open the application dashboard page as shown below. In order to create a web application, click on the "OAuth consent screen" as shown below from the credential dashboard. Fill the "Product name shown to users" text box as your application name as shown below. You may also fill in the other optional fields in this form. Click the "Save" button in order to save the entered details. 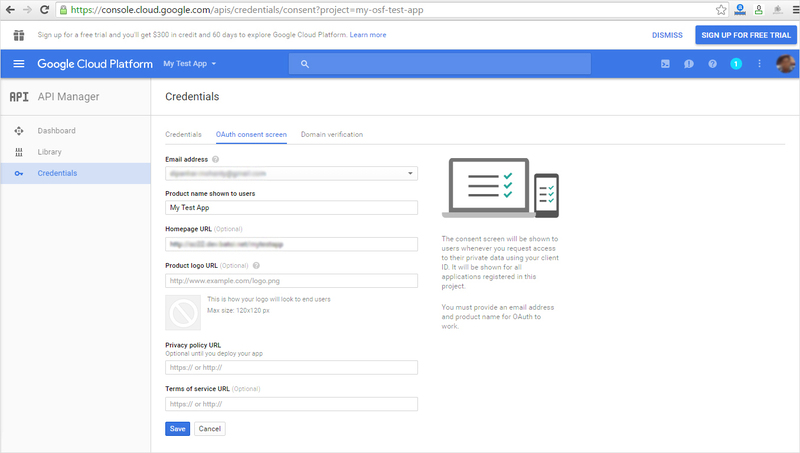 On successful submission of the "OAuth consent screen", Google console will return to the "Credentials" page as shown below. Now click on the "Create Credentials" button as shown below. Upon doing so, a popup-menu will appear from where you need to click on "OAuth client ID" link as shown below. 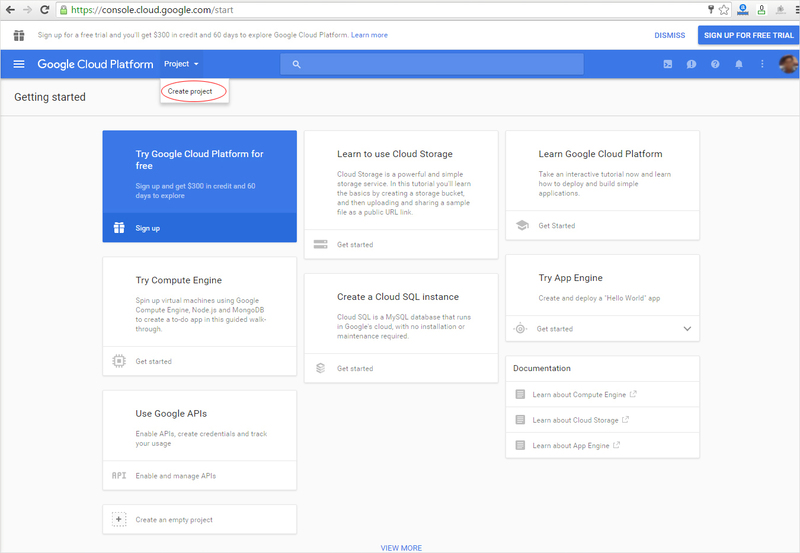 Upon doing so, Google console will open a form where you need to fill in the required details as shown below. Choose the "Application type" as "Web application". Once you choose the application type, the detailed form will appear as shown below. Fill in the "Name" as your "Application Name". 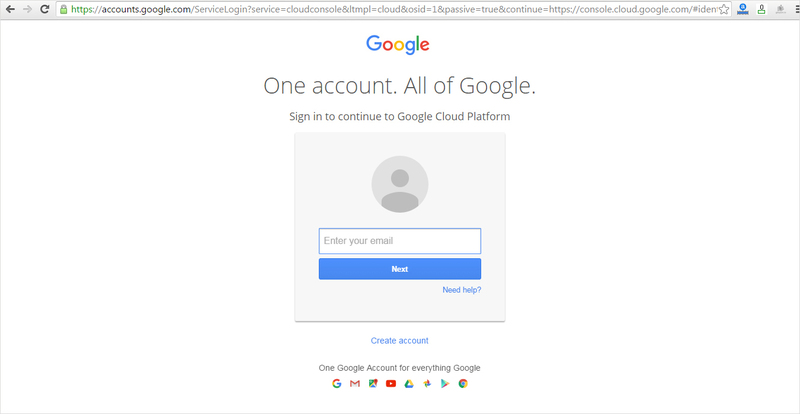 Enter the "Authorised redirect URIs" as available in your "OSF SSO Setting Page" as "https://your_base_url/osf/lib/hybridauth/?hauth.done=Google". 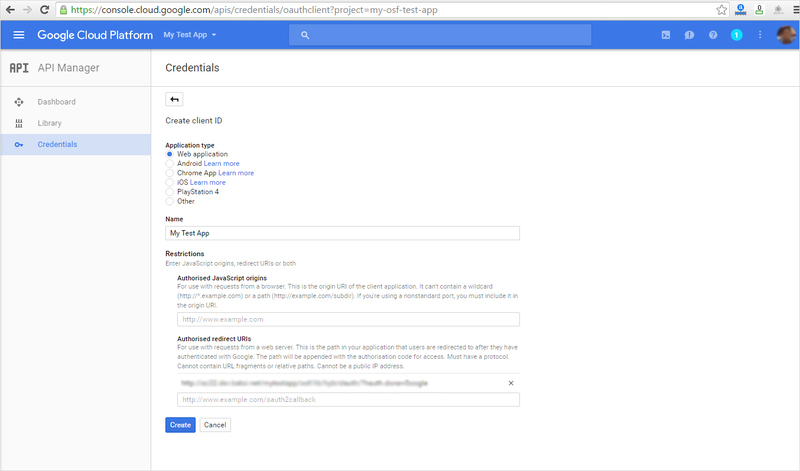 After entering the above details click on the "Create" button and Google console will create the "OAuth client ID" for your application. On successful submission, Google console will create "client ID" and "client secret" as shown below. Store the key with you securely for future reference and use. Now your API keys are created but it is not enabled. 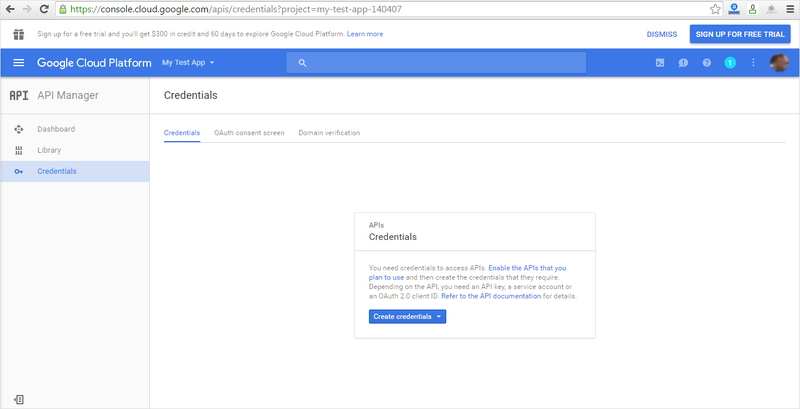 In order to enable your API keys click the menu "Dashboard" from the credential page as shown below. Click on the "ENABLE API" link on the application Dashboard as shown below. Upon doing so Google console will open the "Google APIs Library" page as shown below. Here you need to choose the particular API that you want to enable for the application. For "OSF SSO" choose "Google+ API" from the "Social APIs" list as shown below. 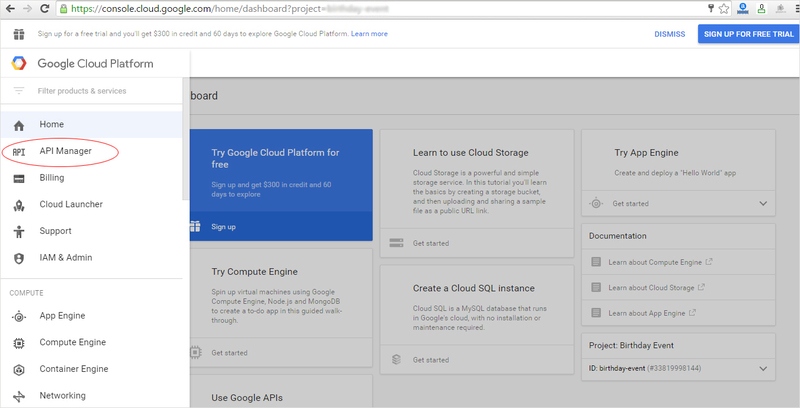 Upon doing so Google console will open the "Google+ API" dashboard. Click on the "ENABLE" link as shown below. 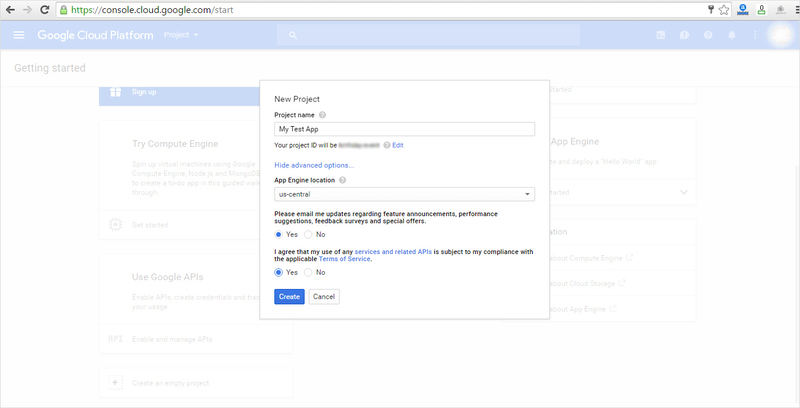 Upon doing so Google console will enable the API for your application use and will show the API dashboard as shown below.